This custom soap dish is a must-have item when traveling to carry your favorite soap. Made of heavy duty plastic. With locking closure could keep soap from coming out when put into bags. There is raised grain on the bottom for skid-proof. Other than soap, all other small things can be stored! 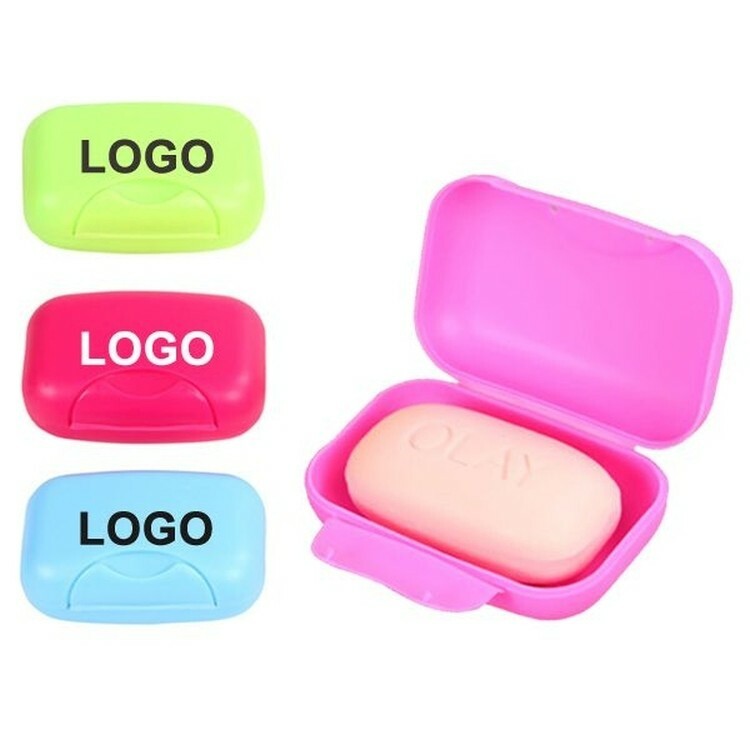 These colorful promotional Soap dishes are perfect for students going away to college or for the younger generation going to summer camp, or for other travel and business trip. Your logo can be imprinted. 4.72 " X 3.15 " X 1.57 "